As an extension to classroom learning, the students of Grade 4 were taken for a field trip to HAL Heritage Centre and Museum on 14 January 2019. 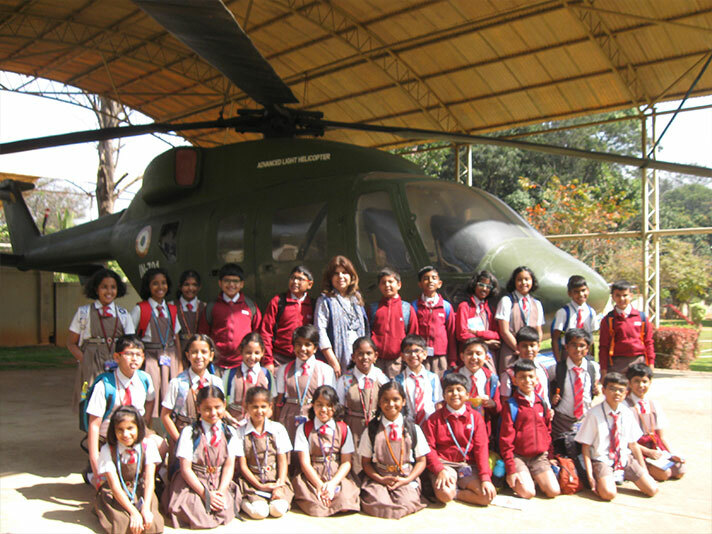 The students saw a documentary on HAL and its branches all over India, its jet fighter aircrafts and helicopters used as part of India’s defense force. 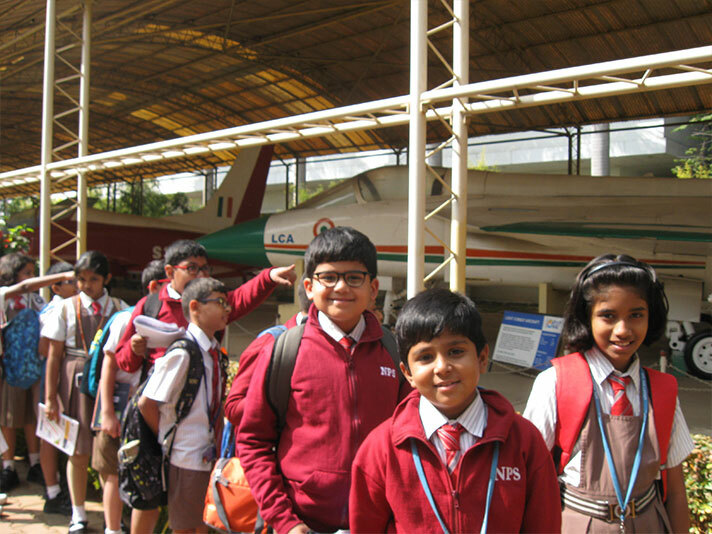 They were spellbound to see the evolution of aviation from the year 1940 till date. 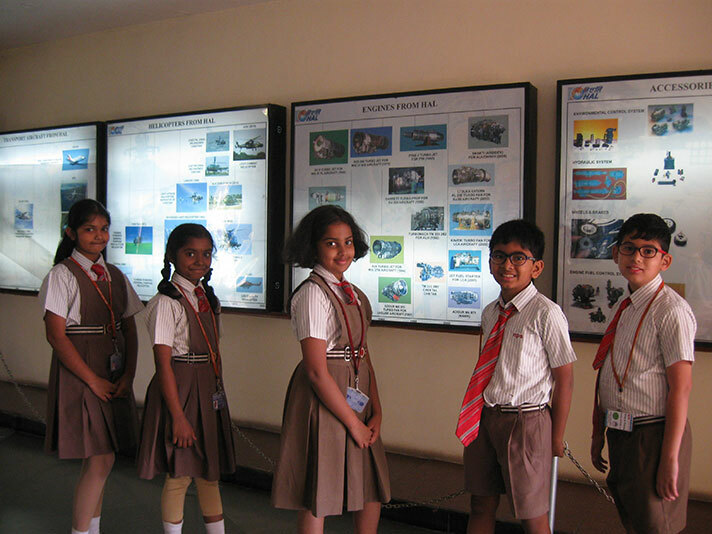 They enthusiastically saw the displays of various aircrafts, helicopters, aero engine models, the mock ATC Radar, the PSLV and PSLV heat shield. The students witnessed working models of solar energy and hybrid windmills as an alternate source of energy. They found it to be a wonderful and enriching experience.